We’re both sewing the Sewaholic Pendrell blouse together, the same version, so I can sew a long with her step by step showing how her to put it together. So inspired by Kate’s questions and grumbles, I thought I’d put together a brief list of frequently asked questions that try to explain the point of things! I hope this helps beginner sew-ists out there and those that are put off by it and think they could never sew, because you really can!! Firstly wash your fabric and iron it! Your fabric might shrink, which is why you need to do this. Much better to preshrink than to find it has shrunk after you’ve made it and leaving your finished garment all puckered and horrid! First things first: Measure yourself! 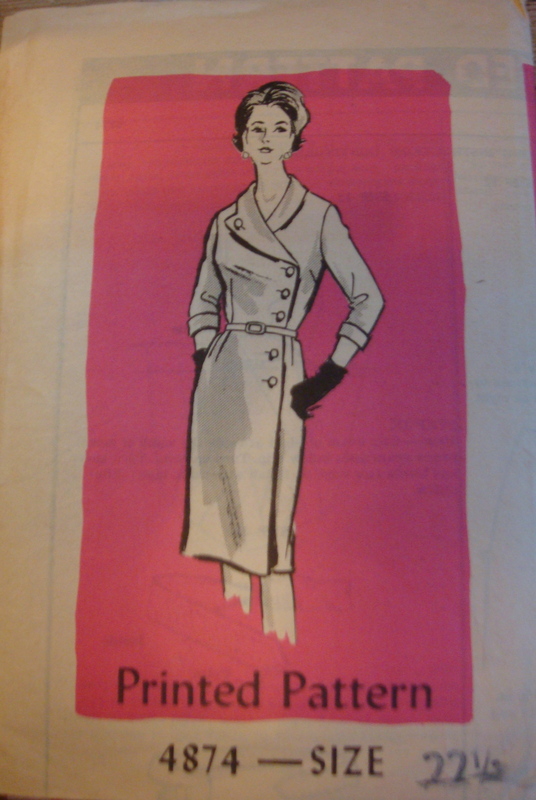 Measure your bust, waist and hips and then look at the back of your pattern envelope and see what size you are. 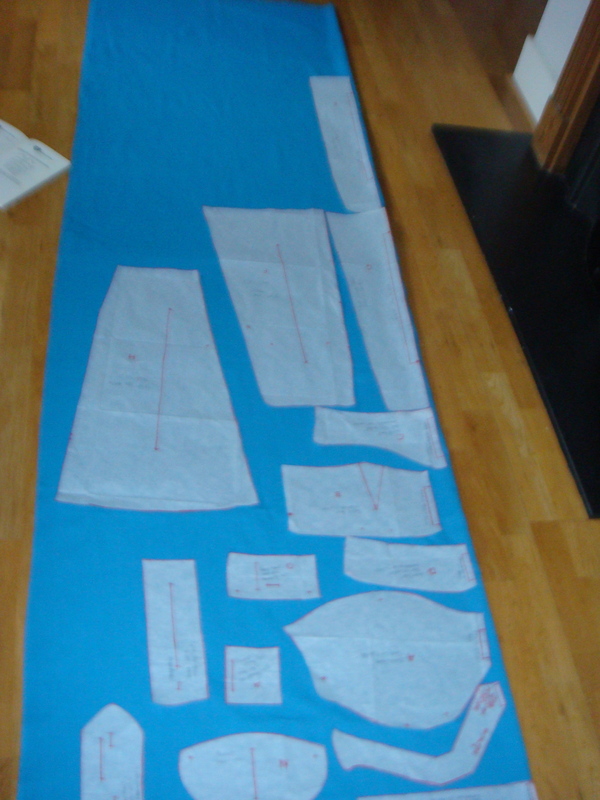 My size 22 and a half pattern! Which is why it is imperative that you take your measurements and check your pattern size in the first place. 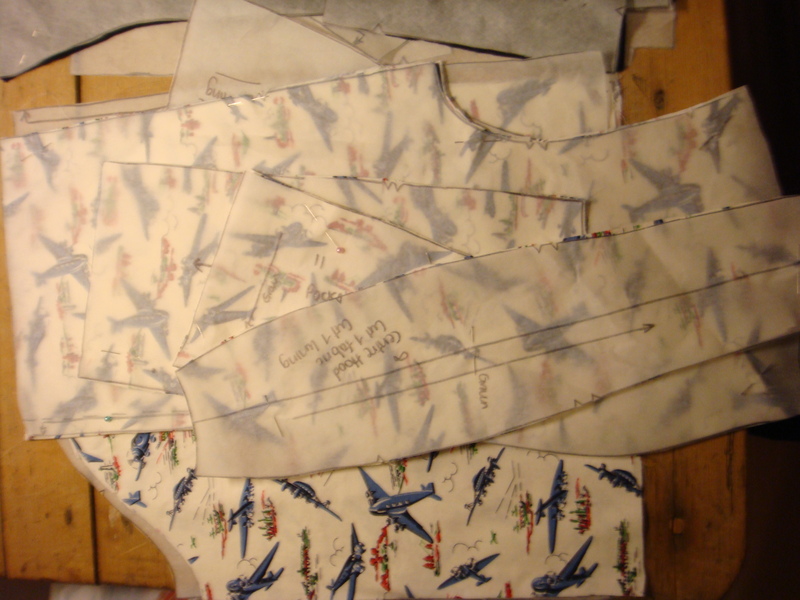 Next up, finding the straight of grain – “gosh this all seems like a bit of a hassle – why bother at all?” If you don’t find your straight of grain, then when you lay out your pattern pieces and cut them out, everything will be off grain. (This also applies to cutting out your pattern pieces and not checking that the grain line on your pattern pieces are not exactly parallel to the selvedges.) Off grain means awful fit. There is no two ways about this one. If you want to make something cut on the bias, this is even more important as the true bias of a fabric is the exact diagonal of the straight grain. “I’m bored now…. 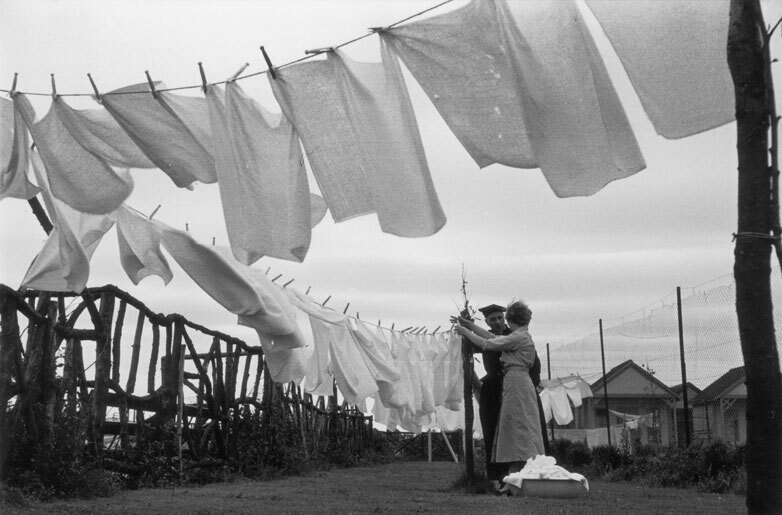 Do I really have to make a muslin?” Well, it’s a free world, you can do what you like. But bear in mind the majority of patterns are based on the proportions of a 5 foot 5/6 inch woman who is perfectly in proportion and has a B cup. Now, seriously, how many of us look like that?? Not the body of a perfectly proportioned 5 foot 6 inch woman! If your fabric is fairly cheap and you really don’t care, then go for it, by all means. But if you want something that fits you, I mean really fits you – do a muslin… Each of us has those funny quirks which is what makes us individuals and pattern companies don’t cater for them: Like a wonky shoulder or a Beyoncé Bottom! 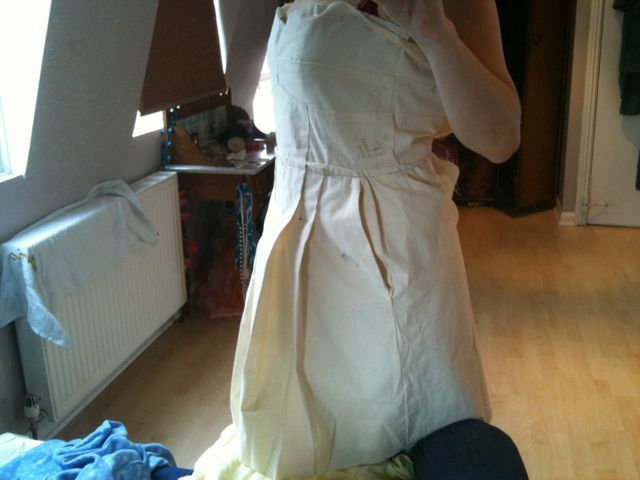 1st muslin for V1174 – Hideous! – Which is why it is currently still my UFO! So once you’ve done your muslin, done a few alterations (there are plenty of internet resources to help you adjust things), maybe do another muslin, you can start making it up! Yeah!! 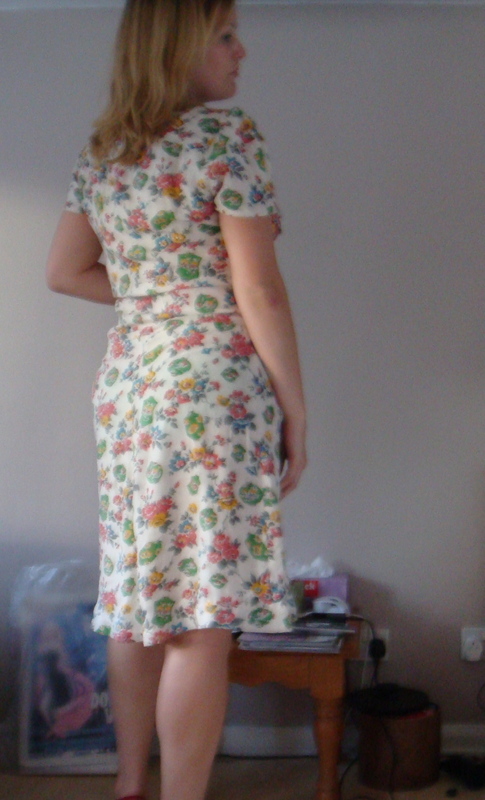 I made a few muslins/alterations before I cut out the 1940s fabric for this dress – and I’m very happy with the fit as a result! “So what is the point of all that hassle? And is it worth it?” Of course it is! 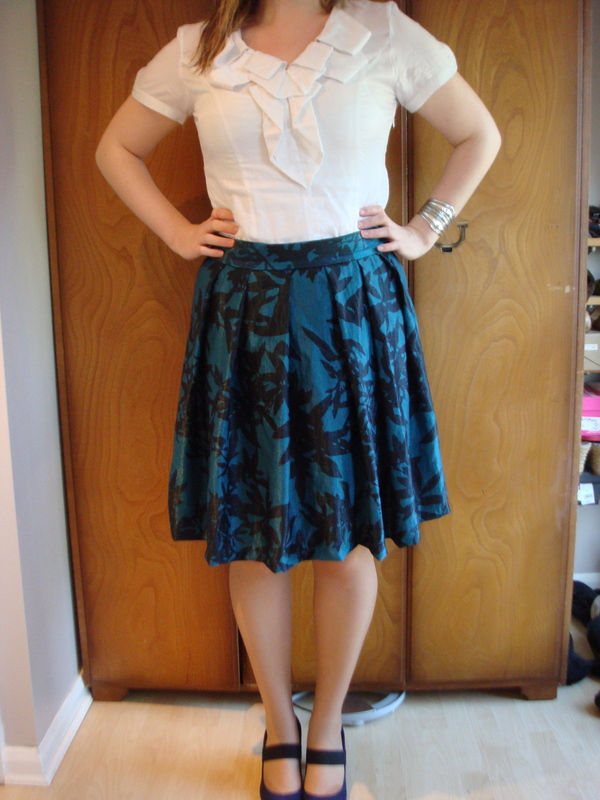 I can make something that fits me, how I want it to fit, in fabric and colour that I chose. And I now that some small child or woman has suffered appalling conditions in order to make it. Oh yes, and it’s also a bit of an ego boost when someone compliments you on what you’re wearing and they have no idea if it is from a shop or if it is handmade by you!